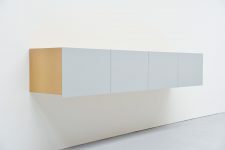 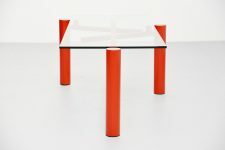 Super rare table designed by Christophe Gevers ( 1928-2007 ) produced by be.classics, Belgium 2001. 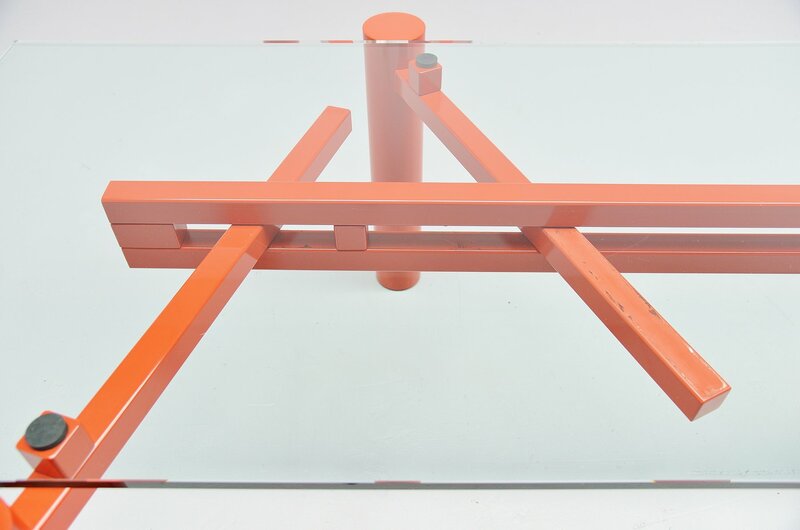 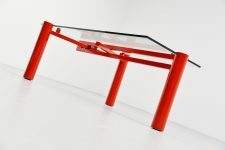 This extraordinary working table has an ingenious construction of 3 metal legs which slide in each other and create balance with the glass top on it because of gravity. 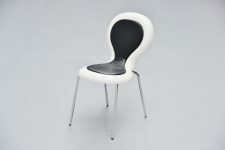 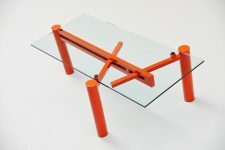 The legs can be changed in different positions and because of that you can also use another kind of glass on it. 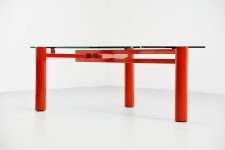 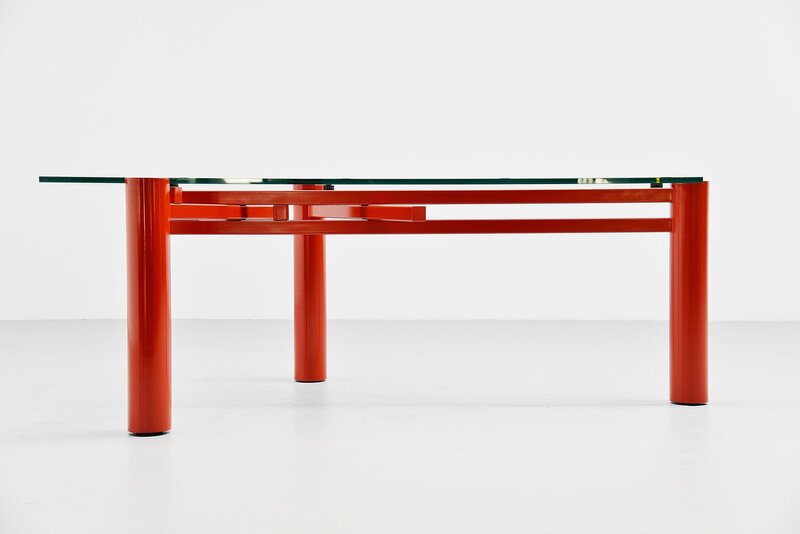 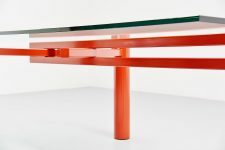 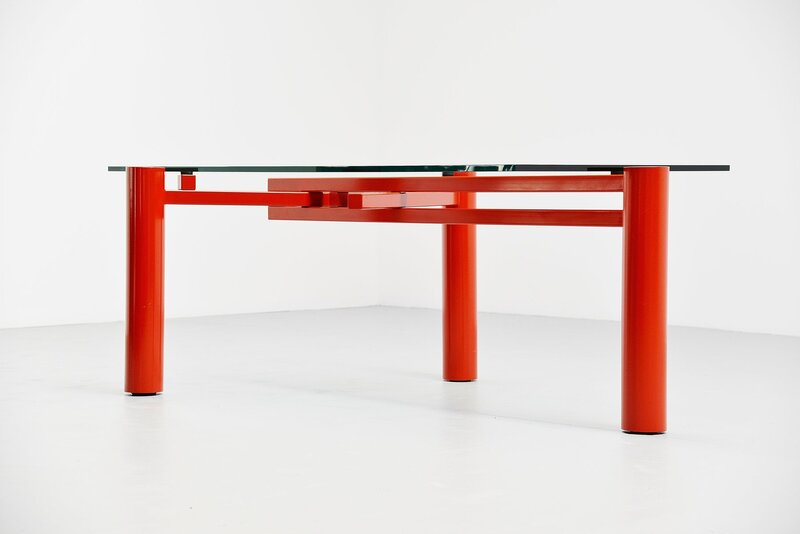 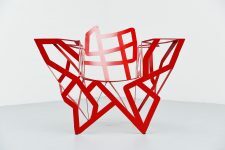 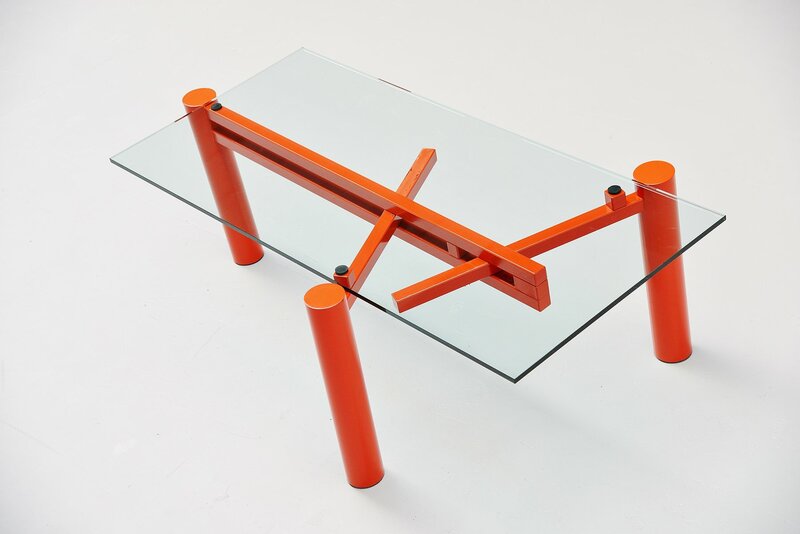 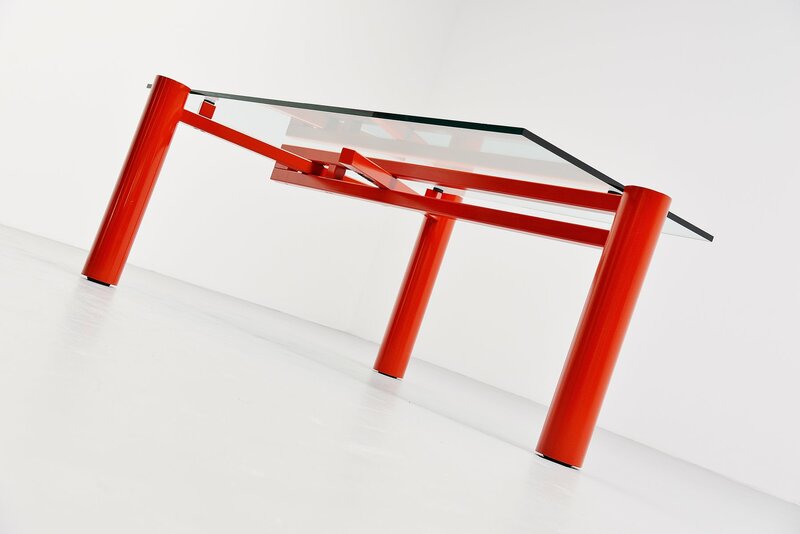 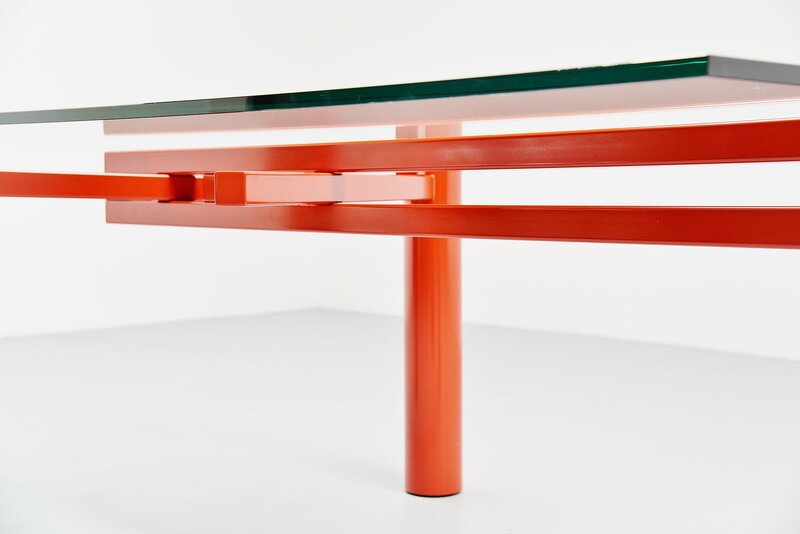 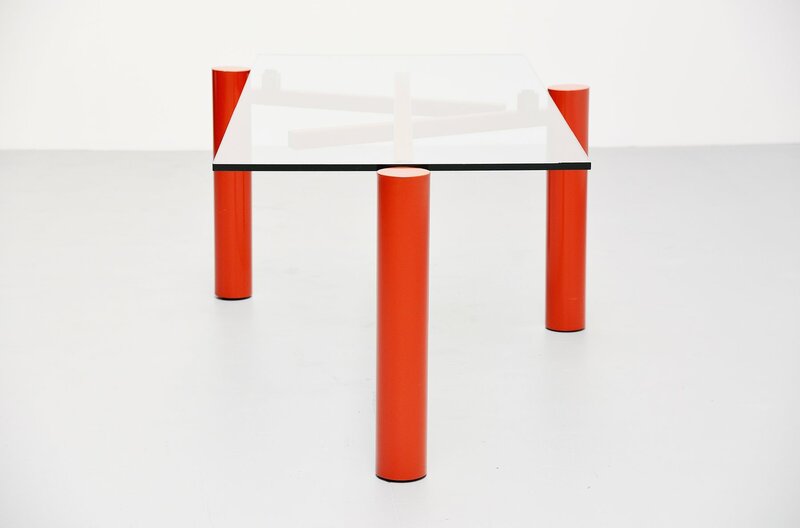 The table has a very heavy red lacquered metal frame and a thick hardend glass top (200×100 cm). 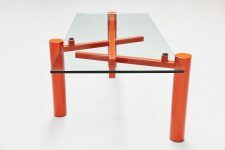 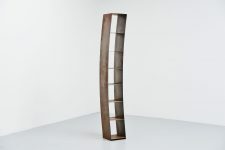 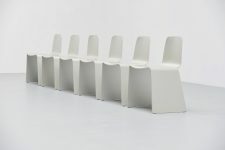 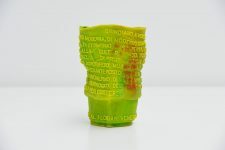 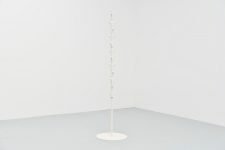 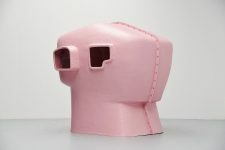 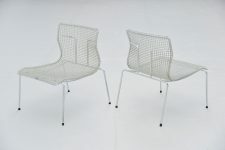 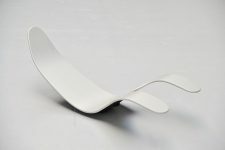 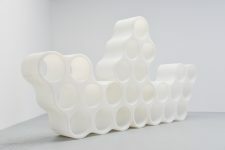 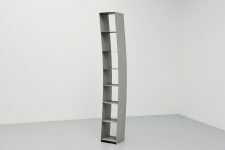 The designs by Christophe Gevers are very sought after because he only made pieces in very limited productions or on special order. 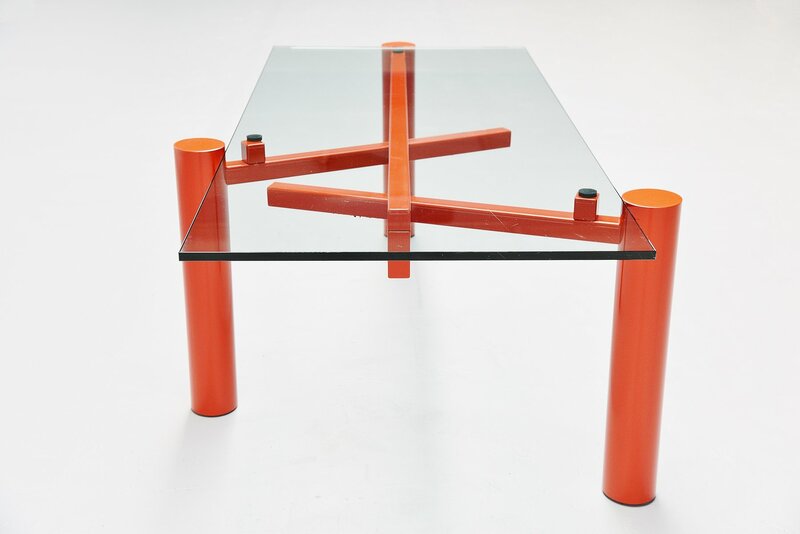 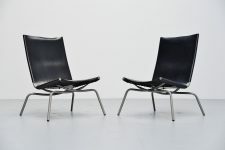 Christhophe Gevers was one of the most important designers of his era, he was a constructionist and functionalist. 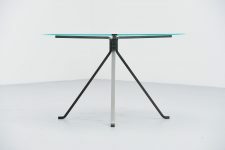 Ths table is documented in the book of Christophe Gevers page 63.